At Hank’s Oyster Bar patrons enjoy coastal favorites and New England beach fare classics like lobster rolls, daily fish specials and meat ‘n’ two. 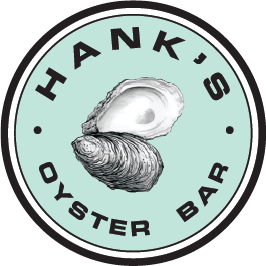 Lightly fried items such as the popcorn shrimp and calamari and Ipswich clams balance Hank’s ice bar options which consist of a selection of raw oysters, tartar and ceviche. Hank’s Pasta Bar is a seasonally-driven rustic Italian restaurant located in Old Town, Virginia. Now Open in our New Home in Dupont Circle!